Save The Date - Family Fitness Night Sponsored by the CSEE PTO is Friday, January 18, 2019! 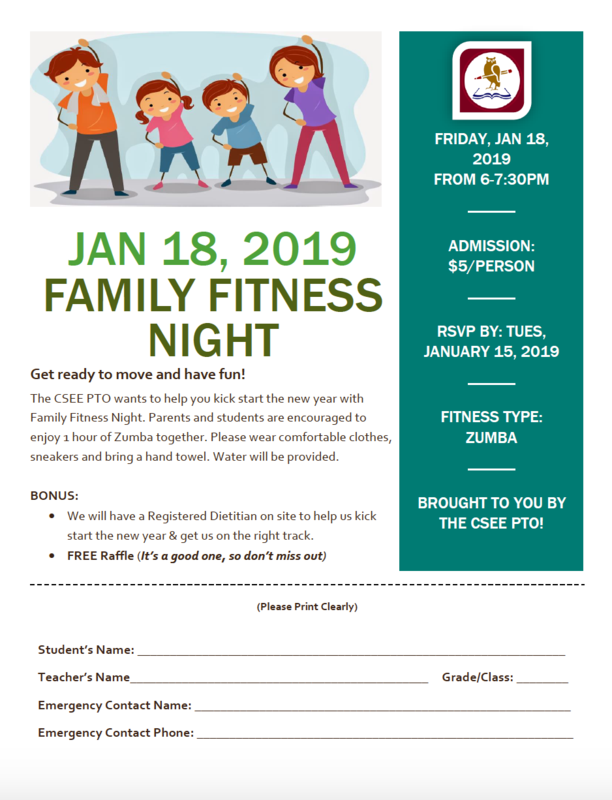 January 11, 2019 - Get ready to move and have fun with CSEE's PTO Sponsored Family Fitness Night! Admission is $5.00. To RSVP, please return the attached registration form by Tuesday, January 15.